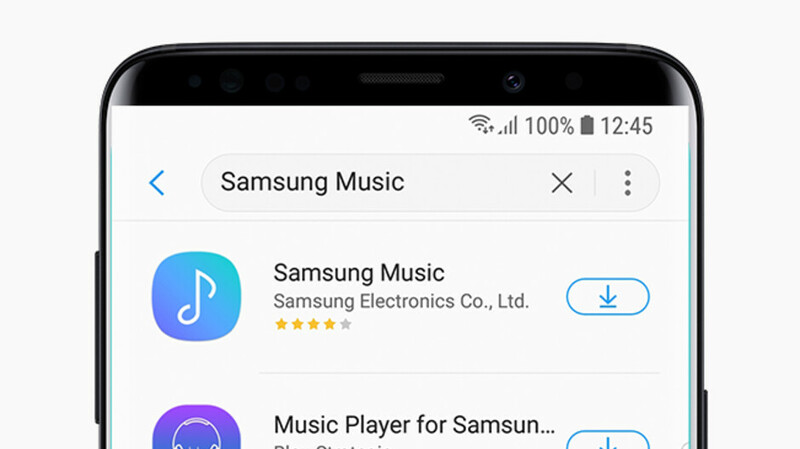 Samsung's own music app has received a brand new update. The latest patch (v16.2.14.14) weighs in at 26.24MB and brings a few major changes. First off, the interface of the Samsung Music app has been redesigned. The patch notes state that the new tab design is "simple and stylish", and it includes a new sort option, as well as setting option categorizations. There's also a crossfade feature on board - this means that music will slowly fade out once a user exits the app instead of ending abruptly. The last interesting addition of this new software upgrade is a product of Samsung's partnership with Spotify. The special tab will provide users with playlist recommendations from the popular music streaming service. Keep in mind that this feature will be accessible only in countries where Spotify is available. You can check out screenshots of the new interface in the gallery below. If you want to download the latest patch, head over to Galaxy Apps. Apple Music is better than both of them!! iDon't Think so for Android users like me. iSee what you did there :-P Apple Music is still better for you though - That's because Apple said so! You know whats even better than paying monthly for songs you don't end up owning? Pirating and keeping forever all the music I could want. And this is something i used to appreciate as a novice teenager. Now i think it's pathetic. You are basically robbing the musicians of their rightful earnings. Imagine if you were a musician and this piracy was taking away a chunk of your earning, how would you feel? In this age of streaming where prices are really affordable for a catalogue of 45million + songs forever, i don't see the attraction in piracy. I really dont care if the millionaire artists loose a couple bucks because of me. as long is its an option to get free imma abuse as long as i can. Thanks for your concern perfect upstanding citizen. Not really. Apple music is certainly a great option, but their ... would I put it ... searching? Indexation? Categorization? That feels like a stonege compared to Spotify or Google Music. You must no be using it right! Samsung Music player is a great feature rich player including adaptive hearing which I'm sure people use a lot. Being slightly deaf in one year from years of DJing certainly helps with that feature. Lol Excited to now have spotify integrated. Good move Samsung! Samsung needs to buy Spotify. Let us talk business for a second ... why? So far I remember Apple Music, Google Music, Spotify etc. are really far away from a goldmine. Milk Music FTW... Oh wait. They should support the download for the album art and title of the song just like Sony did for their music player. This is the feature I was waiting for. One of the best Samsung apps ever. How many music apps does Samsung release just to make one stick? Samsung has one of the worst customer retention of all of their products and services. They sell 325+ million phones, but rarely have anyone purchasing additional products and services. Why is that? Customers buy a S9 or Note 9 and that's it. No additional services are supported by their customers. I don't think that would be a good thing remember what happened to milk music? Tidal should buy Spotify.